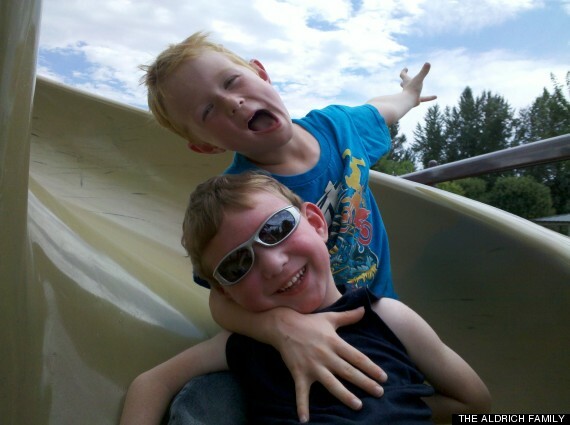 For 8-year-old Noah Aldrich, his 6-year-old sibling, Lucas, is more than a brother; he's a best friend. And to say they go everywhere together doesn't even scratch the surface. 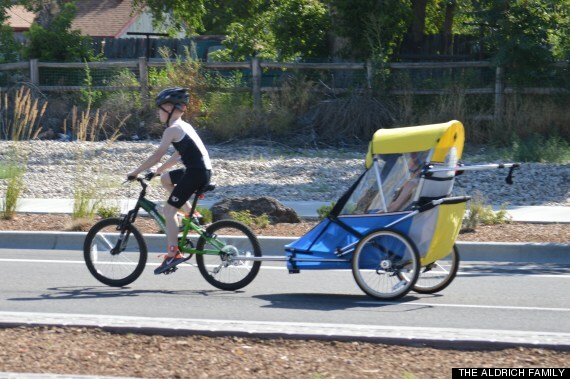 Earlier this month, Noah completed a mini-triathlon in Boise, Idaho, all while alternately pushing and pulling Lucas, who, as a result of a rare genetic condition, cannot walk, talk or eat on his own. 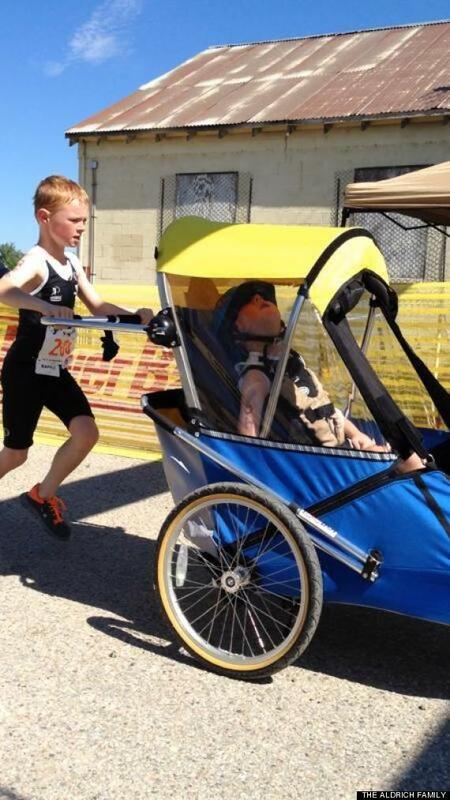 For the course's 1-mile run, Noah pushed his brother in a jogging stroller. 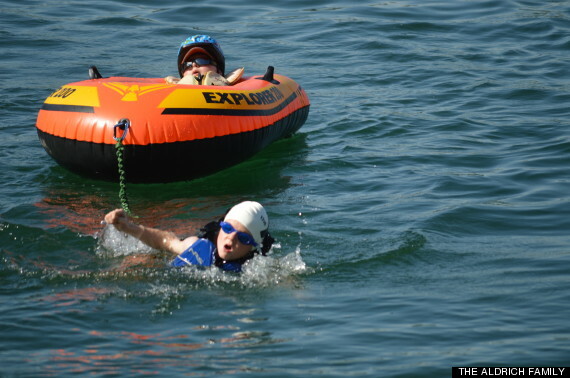 He pulled the same stroller behind his bike for the 3-mile ride, and he completed the 200-meter swim by strapping himself into a harness, which he attached to a floating raft with Lucas safely on top. 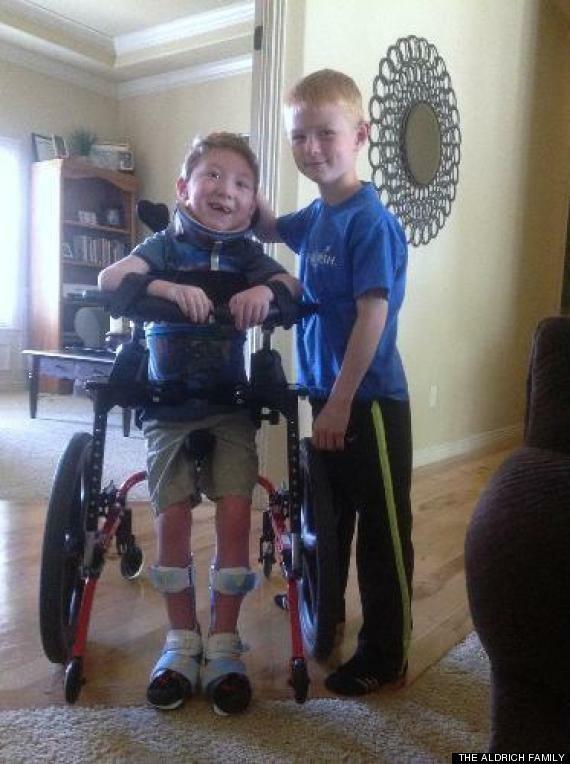 "They definitely have a special bond, the two of them," their father, Brian, told KTVB. 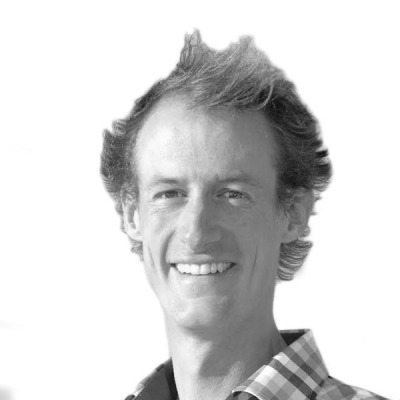 "You see Lucas light up so much when Noah enters the room. It just brings a smile to your face when you see the love between the boys." According to a blog about Lucas on the family's Caring Bridge page, doctors diagnosed Lucas with lissencephaly shortly after he was born. The rare condition, which the National Institutes of Health attributes to "defective neuronal migration during embryonic development," is often accompanied by seizures, greatly reduced motor function and a shortened lifespan. Undeterred, Noah is intent on squeezing as much life into those years as he can. He told Boise's Fox 9 he decided to compete in the triathlon with Lucas because his brother doesn't typically get to participate in sports. "[Most of] the time when I play sports he has to just watch," Noah said. "I just want to finish with Lucas." The duo did finish, in a time just over 54 minutes. And while Lucas had a smile on his face for hours afterward, many adults at the finish line couldn't contain their tears. "Tears flow," wrote one commenter on Facebook, "what LOVE!"